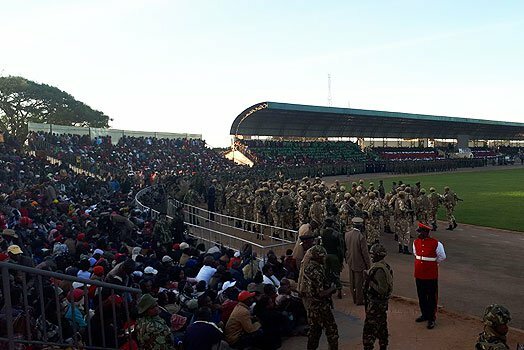 A number of people escaped with injured at the Kinoru Stadium, Meru County where President Uhuru Kenyatta will be leading the Madaraka Day celebrations. 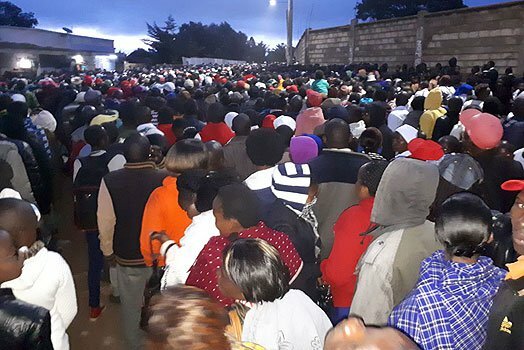 There was reportedly a stampede as residents tried to make their way into the stadium that witnesses say was full by 6 a.m.
Citizens are said to have started arriving as early as 3 a.m. 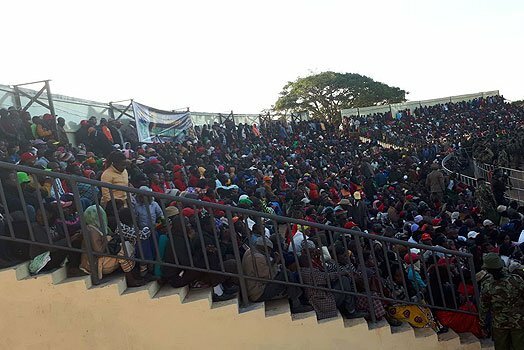 It is after the security officers locked the gates that a stampede occurred as the people tried to force their way in.